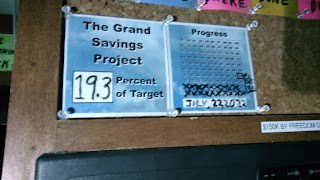 That is 19.3% (of my Savings Target). 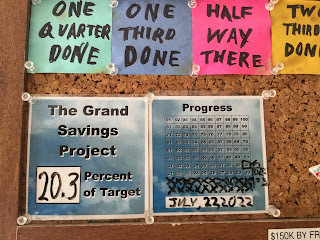 That’s right things jumped up to 20.3% of my savings target. That means I put away 1% of my total Savings Target this payday. 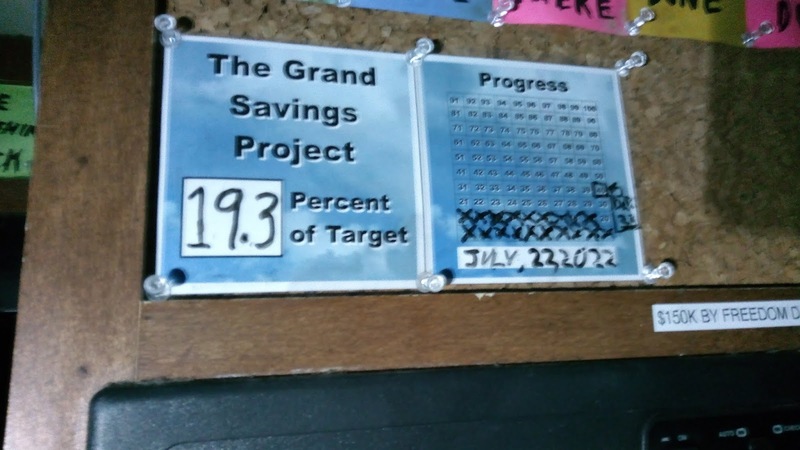 So, it is official, I have made 20% and each ten percentage points is a big deal for me, and a reason to celebrate. Yet, funnily enough it kinda feels like only 13.33% because I increasingly discount the amount in my Mid-Term Savings Account. That is my Personal Line of Credit, and is available to me to spend in an emergency at any given time. I also don’t count the contents of my Main Account as savings, even the first thousand that I keep in there and designate my Personal Overdraft. Yet, I know that this is splitting hairs and savings is savings. 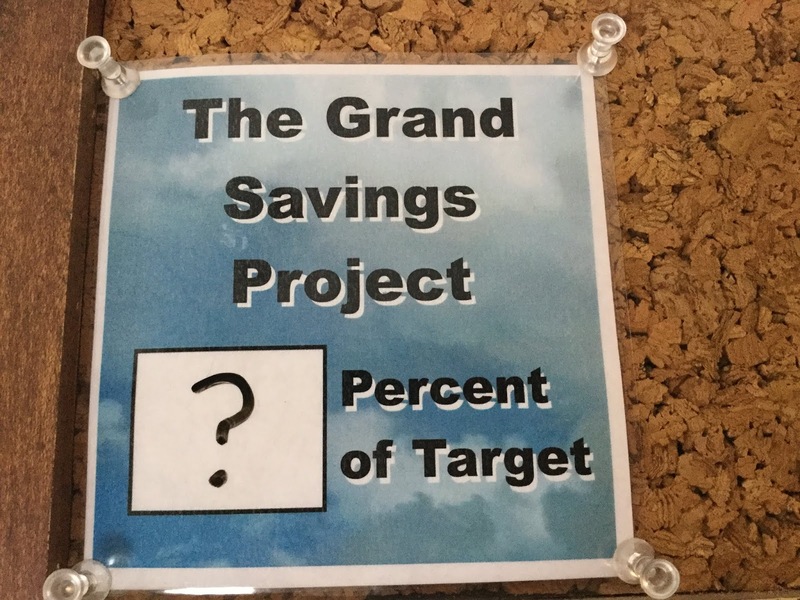 To satisfy this urge I will continue to work and build my savings until I have put that extra ten grand in my Long Term Savings. 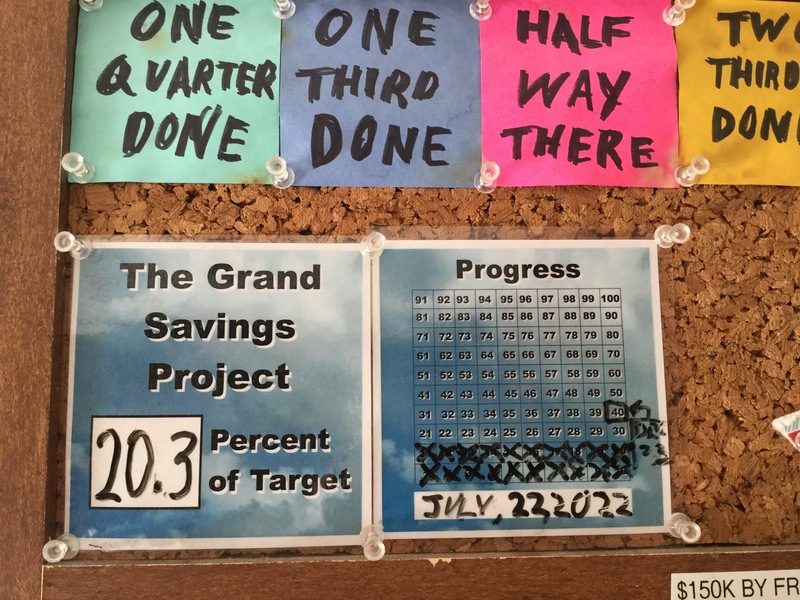 The point to focus on is the fact that I am continuing to build my savings with each and every payday. What I will do with my savings, I have yet to decide or determine, yet as I do, I will continue to sock away cash.